In any enterprise that has been underway for some time, there comes a point at which it is wise to stand back a little and view where one is and how one got there. I have been thinking about the relation of the scientific worldview to Christian belief ever since my school days when in the 1940s the lively forum of the Sixth Form of Watford Grammar School resounded in disputes about Darwinism and its significance in relation to the book of Genesis. A subsequent, all-consuming scientific career, when I was privileged as a physical biochemist to be involved with those discovering the structure of DNA and to follow up the physico-chemical ramifications of that fascinating structure, did not entirely suppress the search for wider meanings that have been the traditional concern of religion. I have recounted elsewhere 1 some of the ways and byways into which this parallel interest led me until nearly thirty years ago. I then found myself in a position, as Dean of Clare College, Cambridge, to pursue in depth 2 the study of the relation of science to religion in general, and to Christianity in particular. There had fortunately, in England, been a succession of outstanding people who had kept alive an intelligent, open, yet integrating approach to this relation. Major figures then were the Anglican Charles Raven 3, a former Regius Professor of Divinity in Cambridge and a keen naturalist, and the Methodist layman, Charles Coulson 4, eventually Rouse Ball Professor of Mathematics in Oxford and a superb exponent of quantum chemistry. Other figures also kept the flame alive – such as G. D. Yarnold 5, A. F. Smethurst 6, E. Mascall 7 – so that a fruitful interaction between science and theology continued, at least among thinking Christians. But it was certainly true by the early 1960s, at least in Britain that, as John Habgood noted in Soundings 8 the public relation between science and theology had lapsed into a kind of “uneasy truce”. Across the Atlantic, Ralph Burhoe in Chicago had nurtured the debate since the 1950s, in the Institute for Religion in an Age of Science (IRAS), the Center for Advanced Study in Religion and Science (CASIRAS) and other associated activities, notably from 1966 onwards in the pages of Zygon, Journal of Religion and Science. It was in the 1950s and early 1960s that my interest in the interaction quickened and I began to develop, while still a full-time scientist my own approach, eventually published as Science and the Christian Experiment 9. It was while I was engaged in writing this work that Ian Barbour’s Issues in Science and Religion 10 was published and began to open up again theological thinking in the USA towards taking account of the impressive scientific worldview that had been developing. This process appears to have been inhibited in the USA after the Scopes Trial, concerning evolution, in 1925. By the 1960s the truce in the USA between science and theology was still more uneasy than in Britain, it would seem. However, some thirty years later the whole scene has been transformed. Meetings, papers, books and new journals concerned with the interaction of ‘science and theology’ and ‘science and religion’ proliferate. For the pressure has mounted to find meaning in a universe staggeringly opened up by cosmology and astrophysics; and in an evolutionary process that has highlighted the significance of genetics, and so of DNA in shaping human nature. Who could have imagined thirty years ago that the ‘Hot Big Bang’ of cosmologists and astrophysicists and the ‘DNA’ of molecular biologists would become household words? 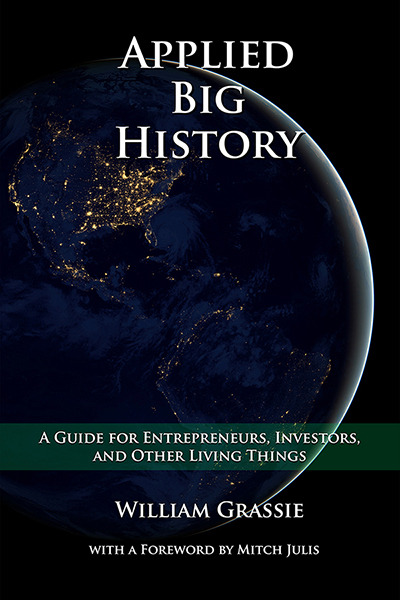 Yet thus it is and scientists, philosophers and theologians (and many who are combinations of these) have been stimulated to make great efforts in this field, in many cases generously assisted by the John Templeton Foundation, which has made this interaction a particular concern. For myself – nearly thirty years after taking the plunge from a full-time scientific career into the turbulent stream of science-and-religion – this seems an appropriate point at which to attempt to survey where we are in our explorations from the world of science towards God. There are particular issues 11 about which I have written in the past that need re-visiting by me since the discussions on them have led to clarifications and I, at least, need to fine-tune what I have written elsewhere in papers and books, sparing the non-scientific and non-theological reader the details of the internal academic debates. I also want to offer the general reader a broad perspective on where lines of investigation have proved to be dead ends and where I think other lines promise to be more fruitful. 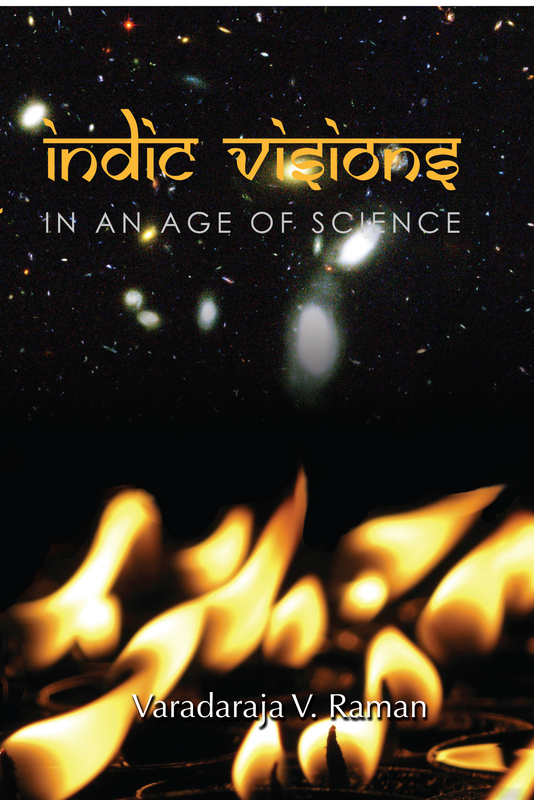 So I hope the book will prove to be a useful overview and judgment on the field of science-and-theology by one who has been much involved in its explosive and dynamic growth over the last 30 years. This interaction between science and theology is not however occurring in a vacuum. For it has enormous implications for the way religious beliefs are established and for judging which of them are credible today. So in the early stages of the book the current state of theology is examined – and found wanting – and a plea is made for the new directions which the theological enterprise must take if it is to meet the highest intellectual standards prevailing in our culture. This examination also has repercussions for religion in general and not just for theology, which is but the rigorous intellectual assessment of the grounds and nature of the content of widespread religious belief. The general religious scene in Western Europe, and especially in Britain, cannot be regarded as encouraging. It seems that more and more people are ‘believing but not belonging’. That is, they have some kind of belief in God as creator but it is ill-formulated and plays little part in at least their public lives and they are not attached overtly to the institutions of organized religion. Moreover, a growing proportion of those who are members of, at least, the Christian churches in Britain increasingly adhere to very conservative forms of Christianity, both ‘evangelical’ and ‘catholic’. The prime casualty in this development within the churches is truth that is public, accessible to all, based on reason reflecting on experience – and not on the supposed infallible authority of book, church, or any individual. In my view what is perennially ‘indefectible’ – to use the technical, theological word for not being liable to failure, defect or decay – is not so much the Church, as so much ecclesiology has stated, but public truth. Modern educated Christians would, in spite of the persistence of many elements in the liturgies, be shocked by the beliefs of those of 150 years ago – in eternal hell for unbelievers, in the literal interpretation of the Bible, in a historical ‘Fall’ of Adam and Eve just after the creation of the world 6000 years ago, in the death of Christ interpreted as propitiating the ‘wrath’ of God, in the historical Jesus as omniscient, etc. This is because the content of belief is not static, once for all ‘delivered to the Saints’, but is a dynamic corpus of ideas, beliefs and symbols whose historical continuity is with the past but which can take quite new forms. 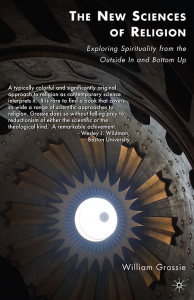 The broad aim of this book (Paths from Science towards God: The End of all Our Exploring) is to expound how science has opened up fresh vistas on God for human perception and life. All religious thinking, and notably Christian theology, is challenged by these new vistas which actually afford a unique opportunity to weld together the human search for meaning through religion and the human quest for intelligibility through science. Contemporary Western culture is, for historical reasons, dominated by science which has many able communicators who are mostly antipathetic to religion. 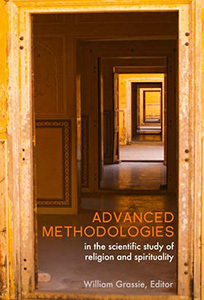 However, scientists themselves are often involved in a spiritual quest, and Christian theology has historical grounds for welcoming this contemporary challenge, for challenges in the past have been the stimulus to its re-vivification. 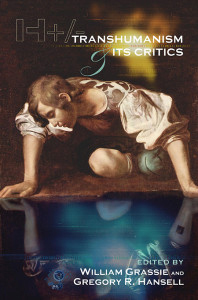 The modes of inquiry that characterize the theological enterprise are contrasted unfavourably, as regards their academic reputation, with those in science which has successfully withstood the critique of postmodernism. The results of applying rational criteria can also, it is argued, be vindicated by an evolutionary perspective. It therefore behooves theology also to attempt to satisfy the proper demand for reasonableness by employing inference to the best explanation of the variety of data available. In this book, I make a preliminary examination of the implications of this for theology. * God’s interaction with the world and with humanity, especially when this constitutes special divine action. This exploration leads to the advocacy of an open theology seeking integrating perceptions and thus to: a renewed stress on God’s immanence in the world and thence to a theistic naturalism and panentheism; the perception of the world as sacramental; a re-visiting the roots “where we started” in Judeo-Christian concepts of the Wisdom, Word (Logos) and Uncreated Energies of God; and a re-formulation of trinitarian understandings of the nature of our experience of God in a form open in principle to the insights of other religions. The work ends with a hopeful epilogue. Nicholas Ferrar had been a Fellow of Clare College, Cambridge, and one of my great experiences at that college was, once a year, to go with students to Little Gidding, where he had founded a Christian lay-community in the 17th century. There we conferred and then celebrated the Eucharist in its unforgettable, evocative and dignified small chapel with the light of the setting sun streaming through its west door. The words of T. S. Eliot’s poem Little Gidding thereby acquired a new power in “the intersection of the timeless moment” in that place “where prayer had been valid” which was “England and nowhere. Never and always.” There and then we learnt that the vortex of our discussions had a still centre to which we, with our variegated presuppositions, were drawn from many directions. That experience grounds my hope for the track followed here. For science is one of the major spurs goading believers in God into new paths for expressing their beliefs and commitments. This work is an account of an exploration from the world of science towards God which recognizes that although the ride may be bumpy, the goal is in itself unchanged. That end is simply, as at Little Gidding, to God’s own self. If indeed God is at all, the honest pursuit of truth cannot but lead to God and, in the latter part of the book, I try to point to how the “end of all our exploring” from the world of science is indeed the God of the Abrahamic and Judeo- Christian tradition, the place “where we started”, and that we can know that God, that place, “for the first time” in a new way. That is my hope for the reader, too. 2 Resulting in my Bampton Lectures in Oxford of 1978, published as Creation and the World of Science (Clarendon Press, Oxford, 1979) and other publications. 3 Charles Raven was a prolific author: his most comprehensive work on science and religion is his Gifford lectures of 1951 and 1952, published as Natural Religion and Christian Theology: First Series, Science and Religion; Second Series, Experience and Interpretation (Cambridge University Press, 1953). There is an interesting biography, Charles Raven: Naturalist, Historian and Theologian, by F.W.Dillistone (Hodder and Stoughton, London, 1975). 4 C.A.Coulson, Christianity in an Age of Science (Oxford University Press, 1953); Science and Christian Belief (Oxford University Press, 1955). The Word of Science: The Religious and Social Thought of C.A.Coulson by David and Eileen Hawkin (Epworth Press, London, 1989) includes some biographical material and a list of his publications on science and Christian belief. 5 G.D.Yarnold, Christianity and Physical Science (Mowbrays, London & Oxford, 1950). 6 A.F.Smethurst, Modern Science and Christian Belief (Nisbet, London, 1955). 7 Eric Mascall, 1956 Bampton Lectures, Oxford, Christian Theology and Natural Science (Longmans, Green & Co., London, 1956). 8 John S.Habgood, “The Uneasy Truce between Science and Theology” in Soundings: Essays concerning Christian understanding, ed.A.R.Vidler (Cambridge University Press, Cambridge, 1963), pp.23 – 41. 9 Science and the Christian Experiment (Oxford University Press, London, 1971). 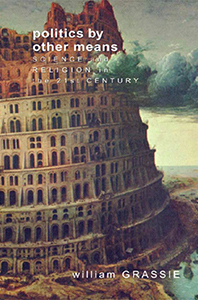 10 Ian Barbour, Issues in Science and Religion (Harper and Row, New York, 1966). 11 Amongst others: the relation of God and time; predictability and determinism in the debates concerning possible special divine action; and how to express God’s immanence in the world.